Jashon Williams (17 mo.) R.I.P. Dive teams are searching Berkeley's Aquatic Park Saturday for the child of Zoelina Williams, who was found slain in the park Friday. Police believe 8-month-old Jashon Williams was with his mother at the time of her murder. An arrest was made in the mother's murder, but the Jashon Williams was still missing as of Saturday morning. Curtis Martin III of Oakland was taken into custody about 1 p.m. Friday at Chestnut Street and 24th Avenue in Oakland, Berkeley police Officer Andrew Frankel said. Williams' body was discovered around 4 a.m. by a Berkeley patrol officer doing a routine security check in the southern portion of the park. She was found lying on the shoreline of a pond next to a parking circle on Bolivar Drive that sits near Interstate 80. Frankel said she appeared to have been shot twice..
Police were not saying what led them to suspect Martin and did not disclose a possible motive for the killing. The slaying was the fifth in Berkeley this year. Frankel described Aquatic Park as a popular recreation spot, but said it also was known for drug deals and prostitution at night. Zoelina Williams, 23, shown with her brother Karim Toney, was found slain in Aquatic Park. Alameda County Sheriff Volunteer Search and Rescue teams look for 17-month-old Jashon in the lagoon of Berkeley's Aquatic Park. Divers and search dogs scoured Berkeley's Aquatic Park today for any signs of a missing 17-month-old boy whose mother was killed, but their search yielded no clues about the toddler's whereabouts, authorities said. Jashon Williams was last known to be with his mother, Zoelina Williams, 23, of Oakland, who was found beaten and fatally shot at about 4 a.m. Friday in the park, police said. A suspect in the slaying, convicted child-killer Curtis Martin III, 38, of Oakland, remained in jail today. Jashon's family was holding out hope that the little boy would be found but acknowledged that their fears were mounting. "We want a miracle to happen - we just want him to be home," Williams' brother, Karim Toney, 28, of Oakland, said today. "But for (Martin) to kill my sister, it only makes sense that something must have happened to the baby." Martin has a history of violence and has been convicted of robbery, burglary and weapons charges. He pleaded no contest to voluntary manslaughter and was sentenced to 11 years in prison for the 1994 fatal beating of 3-year-old Devin Brewer of Oakland, the son of his then-girlfriend. Last year, Martin was arrested - but never prosecuted - in a domestic-violence case. Police ended their search for Jashon today afternoon, but only after as many as 30 people searched the park's lagoon and estuary, some from the Berkeley Police Department and divers and dogs from the Alameda County search and rescue team. A helicopter and plane also searched overhead, and a boat trolled the estuary for clues. "The initial search was done in the dark, so we're making sure that nothing has been overlooked," said Lt. Andrew Greenwood, a Berkeley police spokesman on the scene. "So far we've found nothing at all ... In a sense, we're hoping we don't find anything." Toney said that he believed his sister and the suspect "had been seeing each other," and that Martin is not Jashon's father. Martin was arrested shortly after 1 p.m. Friday near his home at 24th and Chestnut streets in West Oakland by Officer Keith Dodds, police said. Martin's van was seized and he is to appear in Alameda County Superior Court on Tuesday pending the filing of formal charges. Martin became the prime suspect because he had been stopped by a Berkeley police officer who found him on foot in Aquatic Park, just east of Interstate 80, authorities said. Martin was warned that the park was closed and just 10 minutes later the same officer found Williams' body, police said. Her body was on the shoreline north of the traffic circle at the corner of Bolivar Drive and Potter Street. She had been beaten and shot in the head and buttocks, police said. BERKELEY, CA (KGO) -- A search is going on in the East Bay for a missing 17-month-old boy. Investigators believe Jashon Williams was with his mother when she was murdered this week. Now, the boy is nowhere to be found. Police searched for about 12 hours Saturday hoping to find some sign of the little boy. Every second counts when a young life is at stake. Dive teams, search and rescue, Berkeley police and Alameda County sheriff's deputies are scouring every inch of the park for Jashon. "With a missing person at risk, of physical risk, a 17-month-old obviously can't take care of themselves," said Lt. Andrew Greenwood with the Berkeley Police Department, "Time is completely of the essence." The search started before sun rise, only after detectives got a call from Zoelina William's family. She was found murdered in the southern most part of Aquatic Park Friday morning. A few hours later, police arrested Curtis Martin III. It is believed Jashon was with his mother when she was killed. "The longer it goes on and we're still searching, and it's been over 24 hours, the less likely that we're going to find him alive," said Officer Jeff Thomason with the Oakland Polcie Department. "We have searched the suspect's house. We have searched the mother's house. During those searches throughout the night, and still has not turned up the baby. That is why the focus was once again at Aquatic Park. "We know there's a baby that's missing and we know the mother was here," said Dive Team Chief Dave McMurdie. "And, it's most likely in this body of water or that body of water." Dive teams searched both the lagoon and estuary for hours. Visibility was very poor. There was no sign of the baby. Later, search and rescue launched a boat to check the shoreline while others walked the waters perimeter. They are looking for signs, clues, anything that will lead them to Jashon. According to the Oakland Tribune, the suspect has a violent history. He was convicted 15 years ago for killing his girlfriend's 3-year-old son. In the meantime, police say they will not go back the park to search unless they have reason to. BERKELEY -- A child's body was found today near the Berkeley Marina, not far from where police officers had been searching for Jashon Williams, a missing 17-month-old boy whose mother was found killed in nearby Aquatic Park, authorities said. The body was found by two kayakers shortly before 11 a.m., said Berkeley police Lt. Andrew Greenwood. He said the body was floating about 50 to 100 feet from the shoreline on the south side of the marina. "All I can tell you is the body is that of a child," Greenwood said. He said water flowed between Aquatic Park and the marina. Firefighters retrieved the body from the water this afternoon. Berkeley homicide investigators and an Alameda County coroner's van were on the scene. The coroner will be responsible for identifying the body and determining the cause of death, Greenwood said, adding that police were treating the discovery as a "found body" and had not classified the case as a homicide. The discovery was made on a brisk Sunday morning in an area popular with joggers, dog-walkers and boat enthusiasts. The Cal Sailing Club was in the water nearby. On Saturday, divers and search dogs had scoured Aquatic Park for signs of Jashon Williams, the 17-month-old son of Zoelina Williams, 23, of Oakland. 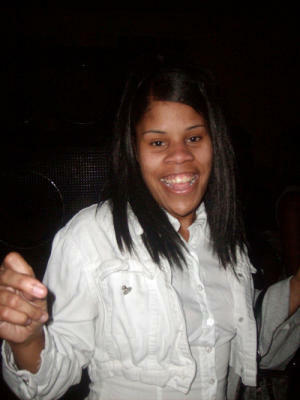 Zoelina Williams was found beaten and fatally shot about 4 a.m. Friday in the park, police said. A suspect in the slaying, Curtis Martin III, 38, of Oakland, remained in jail today. Relatives of Williams said they had not seen Jashon since Halloween and that they believed the little boy had been with Martin, a convicted child-killer who has served time in connection with robbery, burglary and weapons charges. Martin pleaded no contest to voluntary manslaughter and was sentenced to 11 years in prison for the 1994 fatal beating of 3-year-old Devin Brewer of Oakland, the son of his then-girlfriend. Last year, Martin was arrested but not prosecuted in a domestic-violence case. Martin was arrested shortly after 1 p.m. Friday near his home at 24th and Chestnut streets in West Oakland by Officer Keith Dodds, police said. Martin's van was seized, and he is to appear in Alameda County Superior Court on Tuesday pending the filing of formal charges. Martin became the prime suspect because he had been stopped by a Berkeley police officer who found him on foot in Aquatic Park, just east of Interstate 80, authorities said. Martin was warned that the park was closed, and just 10 minutes later the same officer found Williams' body, police said. Police officers prepare to transport the body of a child that was discovered earlier today at the Berkeley Marina on Sunday, Nov. 15, 2009 in Berkeley, Calif. Police have not confirmed if is the body of 17-month old Jashon Williams who has been reported missing. Jashon's mother, 23-year old Zoelina Williams was found dead by a Berkeley Police officer two days ago at Berkeley's Aquatic Park. Curtis Martin, from Oakland, was arrested in connection with the murder of Zoelina Williams. OAKLAND — The suspected remains of 17-month-old Jashon Williams found Sunday at the Berkeley Marina remained unidentified by the Alameda County coroner's office Monday. It is not known how long the child's body had been in the water or when or how he died. Police began searching for Jashon after relatives notified police that he had not been seen since Oct. 31. The boy's mother, West Oakland resident Zoelina Williams, 23, was found beaten and shot to death before dawn Friday in a parking lot at Aquatic Park, about a mile from the marina. Oakland police said they believe Jashon was with his mother when she died. Several of Williams' family members, however, said she had not been caring for the baby since the night of Oct. 31. "There was mold in the house she was living in," said Williams' cousin Brandan Dixon. "So she got the baby out of the house so it wouldn't get sick." 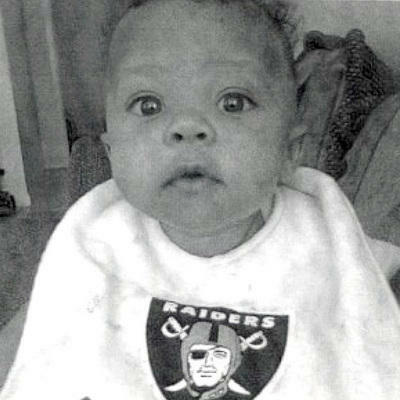 Relatives said the baby had gone to stay with a relative of Curtis Martin, possibly in Vallejo. 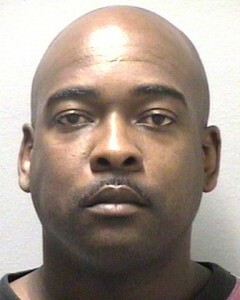 Martin, 38, was arrested Friday on suspicion of killing Williams. Police were able to track him down because a Berkeley police officer had stopped him in Aquatic Park shortly before the officer discovered Williams' body. Oakland street about nine hours later. The Berkeley Police Department has not given the case to the Alameda County district attorney for review and charging, said Assistant District Attorney Tom Rogers, who expects to have the case today. Martin is scheduled to be arraigned this afternoon in Alameda County Superior Court. He has declined to be interviewed, said Berkeley police Lt. Andrew Greenwood. He remains in custody on a no-bail hold. Martin and Williams had been in a secret romantic relationship before she was killed, several relatives said Monday. Many of those relatives said they were horrified to learn Martin had a violent criminal past, including a no-contest plea deal for voluntary manslaughter for the 1994 beating death of 3-year-old Devin Brewer, of Oakland, the son of his girlfriend at the time. Martin was sentenced to 11 years in prison, given credit for time served and released in 2000. Martin's mother, Charlotte Martin, said Monday that she hadn't been able to speak to her son since he was arrested. "He's not a monster," Martin said of her son. "People are going to feel what they feel, and I can understand that. I just want them to remember nothing is ever the way it appears. 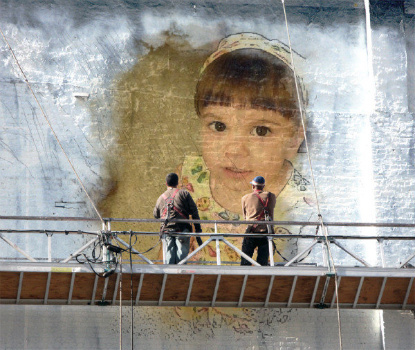 Our family loves children. We're protective of children." The woman said she is struggling with what to do next. "I don't know any attorneys. I need to get somebody who can talk to him because I'm baffled," she said. "Everything is just up in the air. I want to know what happened." Zoelina Williams's body was found Friday morning in Aquatic Park. After police searched for her infant on Saturday, the child's body was found Sunday morning floating in the San Francisco Bay near the Berkeley Marina by a group of two or three kayakers. In addition to charging Martin with murdering Toney, who is also known as Zoelina Williams, the Alameda County District Attorney's Office charged Martin with murdering her son, Jashon Williams, also on Friday. Jashon's body was found near the Berkeley Marina on Sunday, about a mile from the spot where his mother was found. Tuesday afternoon, Berkeley Police issued a press release explaining that investigators believe the child’s body found in the bay waters south of the marina is that of the 17-month-old Williams because the body is consistent in race, gender, and size to that of the missing baby. The release noted that the Alameda County Coroner’s office was continuing its work with regards to confirming the identity. The release also noted that investigators believe Martin killed Toney because she had knowledge of the death of Jashon. Jashon Williams has been identified as the body found at the marina. the day she was murdered. Curtis Martin III killed his girlfriend's 17-month-old son, authorities say, and soon found himself with a problem: Little Jashon's mother kept asking where the boy was. The Oakland resident hatched a plan to put an end to it all, prosecutors say. He allegedly beat and shot Zoelina Williams, 23, and dumped her body at Berkeley's Aquatic Park. Before Jashon Williams' body was found at the nearby city marina, Martin told police that the boy's whereabouts were "not his problem," investigators said in court records released Tuesday. On a day when Martin, 38, appeared in an Oakland courtroom on charges that he murdered both Williams and Jashon - a case that could bring the death penalty - authorities painted a portrait of an uncaring, abusive man whose behavior evoked comparisons to how he acted in 1994, when he killed the 3-year-old son of his then-girlfriend. Curtis Martin III pleaded not guilty today to charges that he murdered his girlfriend and their baby in November. Martin, a 38-year-old Oakland man, is scheduled to return to Alameda County Superior Court on May 17 for a pretrial hearing. Martin is accused of killing his 17-month-old son, Jashon, and later killing Jashon’s mother, 23-year-old Zoelina Toney. Toney’s body was found in Aquatic Park, along the shoreline east of Interstate Highway 80 in Berkeley, about 4 a.m. on Nov. 13. Two days later, a child’s body was found near the Berkeley Marina, about a mile from the spot where Toney’s body had been found. The body was identified as that of Jashon last month. In addition to two counts of murder, Martin is charged with two special circumstance clauses that could result in him facing the death penalty: committing multiple murders and murdering Toney because she was a witness to the murder of Jashon. Martin has two prior felony convictions: a 1994 voluntary manslaughter conviction for the death of the 3-year-old son of his girlfriend at the time and a 1992 conviction for possession of an assault weapon. Martin was paroled from state prison on Sept. 7, 2000, after serving only about six years of his 11-year term for killing his son. This is such a sad situation and it should never have happened. The accused, Curtis Martin III, was previously in prison for killing a girlfriend’s baby. Now, if they had put him away for life then, this innocent child and his mother would still be alive. Now this time, HIS life is at stake, as this is a death penalty case. Subject: Re: Jashon Williams (17 mo.) R.I.P.